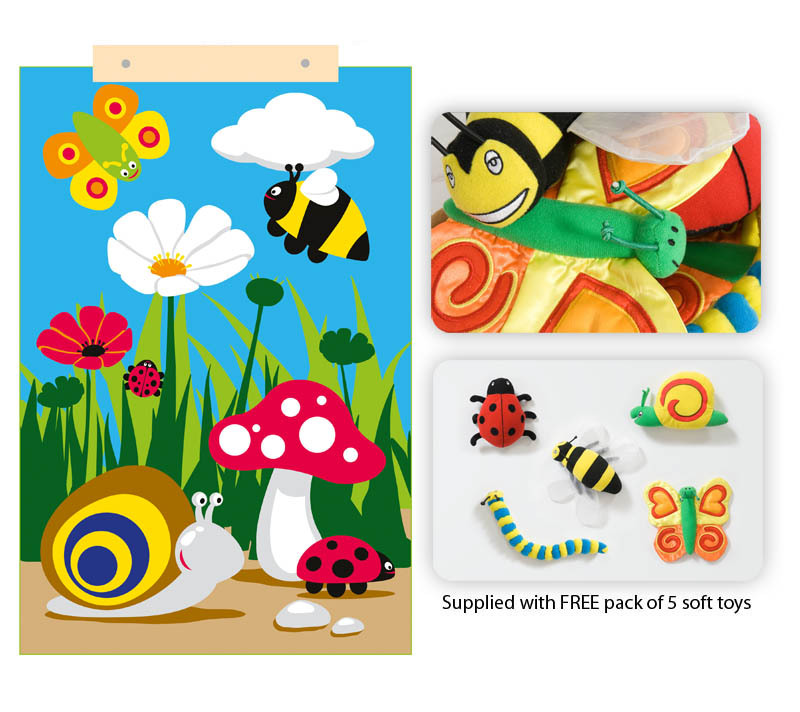  Highly visual themed standard-sized interactive wall display hangings to brighten up any nursery or school environment.  Includes free soft toy pack of 5 toys allowing children to interact with and personalise their environment.  Distinctive and brightly coloured classroom-relevant designs to complement reading areas, soft play corners and libraries.  Available in two width sizes with continuous designs for joining and larger wall area coverage.  Superb quality, non crease wall displays with a stain-resistant coating.  Light weight, soft texture loop nylon weave, with Velcro backed items for display and interaction.  Supplied with solid wood mounting brackets which fix to the wall to allow quick release/hanging of the wall displays.  Please note toy content and detail may vary.  Meets relevant safety standards.  Dimensions: (HxW) 1500 x 1000mm.